Everyone has sewing bad habits. Some of these I can smugly say that I never do. But there are a couple of these 12 sewing crimes that I commit frequently. How do you measure up with my ‘Dirty Dozen’? Are you guilty as charged? Sewing jersey fabric can be fun and very satisfying. You can make all types of clothes from T-shirts, leggings, dresses, tunics, pyjamas and more. Jersey fabric is soft to wear, drapes well, and tends to crease less than wovens. 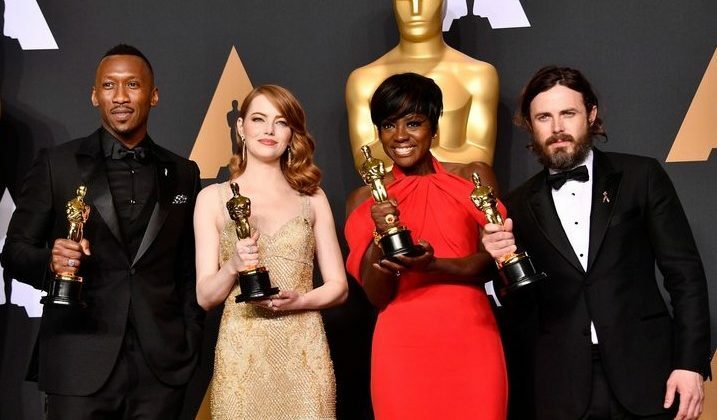 The talking point of last night’s Academy Awards ceremony was undoubtedly the announcement of the wrong winner of Best Film. But my attention as always was on the stunning gowns. So I thought I’d take a look at some of the sewing patterns around that are worthy of an Academy Award themselves. 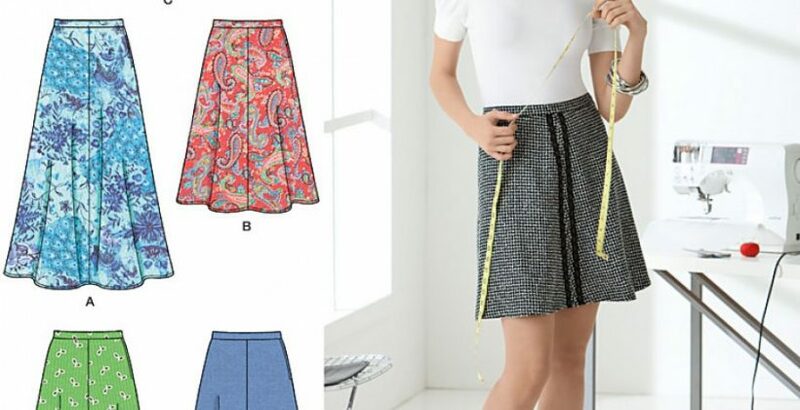 Beginners sewing patterns may not be the most glamorous or fashion-forward designs. But when you’re just starting out on your sewing journey, it’s easy to get carried away with your ambitions and take on too much. Perhaps you aspire to design Oscar-red-carpet worthy frocks for A-list celebs. Just take a look at the gorgeous outfits worn by Emma Stone on the Golden Globes La-La-Land tour. But Prada and Gucci gowns such as these are highly-technical feats of textile engineering requiring the very best of precision cutting and sewing techniques. My advice is to take a Beginners Sewing Course to learn the correct techniques. Concentrate on learning foundation sewing techniques and doing them well. Then building up your skills by making simple shaped garments in easy-to-handle fabrics. Gradually, you’ll increase your repertoire until you can take on the more advanced projects. 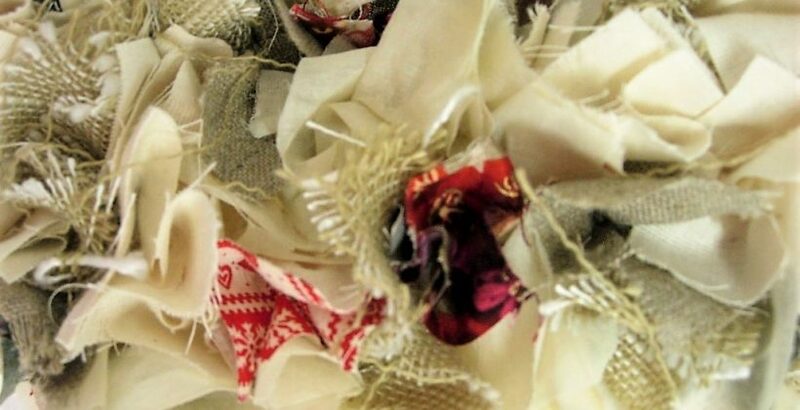 Make a Christmas Rag Wreath to add a personal touch to your festive decorations. It can be made from fabric leftovers – just whatever you’ve got lying around. Also, it’s really easy so it’s a great craft project for children. Sewing Equipment – to have or have not? What Sewing Equipment do I need to buy? What sewing equipment do I need to buy? When it comes to sewing equipment, your sewing drawer could look just like your kitchen; full of ‘essential’ gadgets that may be your best friend, or may lie there gathering dust never to see the light of day. If you want to sew jersey fabric, then you can’t beat an overlocker. I’ve been an overlocker user for over 30 years, (25 of those have been using my faithful old Pfaff). Overlockers used to cost around £400 for the most basic models, with more advanced, robust machines costing £500-£2000. Therefore I was sceptical when I got a tip-off (thanks, Ann!) 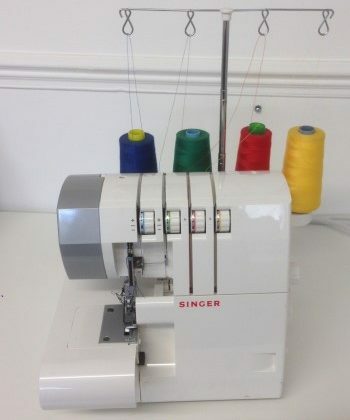 that Lidl would be selling the Singer Overlocker 14SH754 for £129. I immediately did as I usually do to check out gadgets and looked up prices and reviews online. Learning to Sew: Read these 5 Top Tips! If you’ve just started learning to sew, read these 5 top tips to help.